The idea of a National Health Insurance Scheme in Nigeria was first attempted in 1962 under the leadership of the then Minister of Health, Dr M.A Majekodunmi. In the last four decades, the fight to have a health insurance system that works has been an arduous journey of sorts, fraught with plenty complexities and peculiarities. The overarching idea behind a health insurance scheme is to improve the health of all Nigerians at an affordable cost. In 2016, the Executive Secretary of the National Health Insurance Scheme (NHIS), Professor Usman Yusuf mentioned that in the 12 years of the scheme’s existence, after it was officially signed into law in 2005 by President Olusegun Obasanjo, the scheme covers only about 1% of Nigerians. To say that this is a failure would be stating things mildly. This inability and ineffectiveness as well as the shroud of corruption that has covered the scheme from its inception are major factors that have led to the call for the repeal of the NHIS Act and the enactment of a new Act in its place. One of the major differences now in the Act is the fact that states can now have their own health insurance schemes. This has already resulted in a number of states such as Lagos, Cross River, Kwara, Kano etc signing their state Health Insurance Acts into law. This fragmentation of the pool has both its pros and cons. The pros being that with states being in charge, desired healthcare services will now become a step closer to the people while the cons will be that the pool of funds will have been fragmented, meaning that states have to maneuver whatever financing mechanism possible to get as much money as they can into the funding pool. Some of the strategies that are being employed by some of the states include: making the scheme compulsory for all state residents, compulsory solidarity contributions from residents who are already on private health insurance schemes, sourcing for lump sum contributions from philanthropists etc. The above questions can only be answered with a YES if the state governments beef up the existing health facilities and strengthen the health systems within the states. This should also be accompanied by appropriate accountability mechanisms to ensure that the monies pooled are utilized as they should be and to the fullest benefit of the people. The states should not see the Health Insurance scheme as just another method of revenue generation or another political mandate to be checked on a list or as a tool for campaigning in 2019. Rather, the programs and activities of the scheme should have the health of the people at its core. The National Health Insurance Agency needs to strengthen its oversight and regulatory responsibility to ensure that the Health Maintenance Organisations (HMOs) do not run amok and appropriate sanctions be put in place and implemented for defaulters. 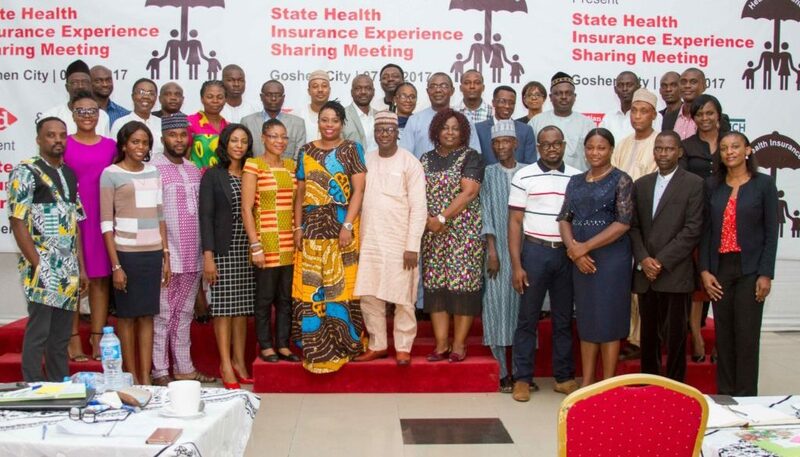 Most importantly is the fact that the states need to understand that for the scheme to work, a good part of the state budgets need to be committed to the health sector to beef up capital health infrastructure at both the state and Primary Health care levels and it should be clear that the funds from the health insurance pool are not meant for infrastructural development. Finally, the state governments need to understand that the citizens are major stakeholders in this process as such, they must be carried along every step of the way; they should be able to contribute to the entire decision making process, not just making monetary contributions, there should be a system for addressing the inquiries, complaints and grievances of the people as they arise and the state governments must ensure that they are as responsive as they can be in this regard.